If a lecturer’s job is to ignite that spark of knowledge in students, and fan it into full strength, then a good textbook can be the mind’s tinder. Prescribing the right textbook is an important decision and can create a lot of pressure for a lecturer. There are so many factors to consider that the whole process can become rather overwhelming! Context can be everything with a textbook. A book may be well written and stimulating but references to foreign laws, unfamiliar currencies and examples students do not relate to, can alienate students. Always consider how necessary a local context is to the subject in question. Practical knowledge and examples that are familiar to students can make a substantial difference to their understanding of the subject they are learning. South African lecturers often struggle with large classes, varying standards of school education, and students who are learning in a second or even third language. Simple language that is easily accessible to students can have a huge impact on their learning. A complex concept does not have to be explained in a complex way. Ideally in South Africa a textbook should be able to accommodate a range of students from different backgrounds without compromising the quality of its content. Case studies and practical information can be the bridge between understanding an abstract concept and locating it in reality. The use of practical examples can push students into applying what they have learnt and also help them consolidate and visualize the concept in question. Having case studies based on familiar elements can make the subject come alive for the student. Be sure to check how well a textbook you’re considering makes its content ‘come alive’. A textbook needs to correspond closely to the learning outcomes of the course in question. 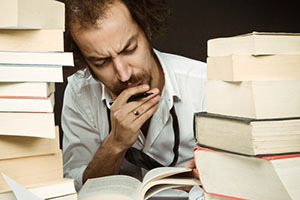 Students occasionally resort to using other books as a supplementary resource because their prescribed textbooks do not entirely correlate with the focus of their course. Try finding the most specific textbook available to the subject, and be sure to keep an eye open for any new editions every year. Just because a textbook on a subject wasn’t available two years ago doesn’t mean there isn’t one out now. Teaching is always demanding because there is no limit to how far one can go to be an excellent lecturer. Textbooks with built-in resources can allow lecturers to spend less time devising work and more time on their other priorities, like research. Certain textbooks come with questions suitable for class and tutorial use, as well as lecture slides and question banks. Be sure to explore what online and support features are available whenever considering a prescription.